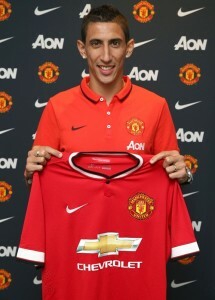 OFFICIAL: Angel Di Maria joins Manchester United | The Real Madrid Fan! In a move that was on the cards and was all but confirmed, Angel Di Maria moved to English Premiership giants Manchester United on a five-year contract in a deal worth £59.7 million, a British transfer record. Carlo Ancelotti had confirmed on Sunday that Di Maria has said his goodbye’s to his teammates at Valdebebas. Yesterday he travelled to Manchester and met with United executives at Carrington. The deal was confirmed moments ago on both the club’s official website. Real Madrid CF and Manchester United FC have reached an agreement for transfer of Angel Di Maria. The club wants to thank him professionalism during these years and wish him luck in his future. 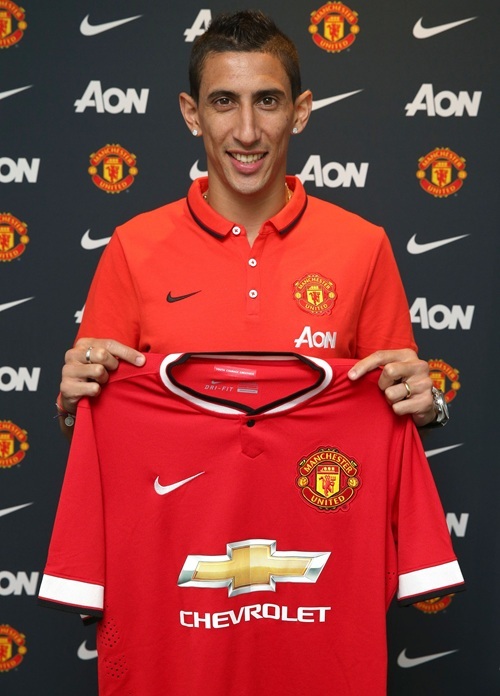 Manchester United is delighted to announce that Angel Di Maria has completed his transfer for a British record fee of £59.7million. Angel joins on a five-year contract. Di Maria, 26, began his career at one of the most prolific youth academies in Argentinian football, Rosario Central. In 2007, he moved to Europe to play for Portuguese club Benfica, before signing for Real Madrid in 2010. The Argentina international has 52 caps for his national team, scoring 10 goals. I am absolutely delighted to be joining Manchester United. I have thoroughly enjoyed my time in Spain and there were a lot of clubs interested in me, but United is the only club that I would have left Real Madrid for. Louis van Gaal is a fantastic coach with a proven track record of success and I am impressed by the vision and determination everyone has to get this club back to the top – where it belongs. I now just cannot wait to get started. Angel is a world-class midfielder but most importantly he is a team player. There is no doubting his immense natural talent. He is a tremendously fast and incisive left-footed player who puts fear into the most accomplished defence. His dribbling skills and his ability to take on and beat opponents are a joy to watch. He is an excellent addition to the team. Wishing him luck for The Real Madrid Fan!